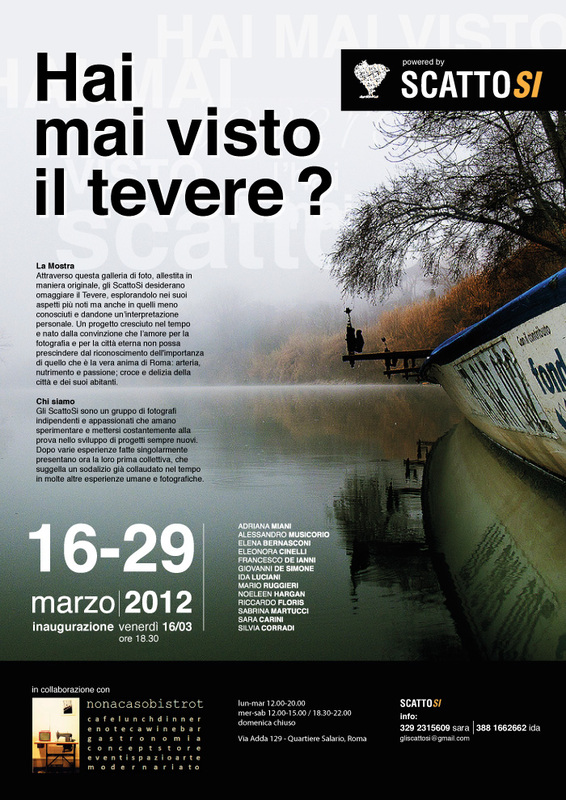 Hai mai visto il Tevere / Have you ever seen the Tiber? Exhibition opens on Friday 16 March, 18.30 at the Non a caso bistrot, Via Adda, 129, Rome. Continues till 29 March. This entry was posted on March 4, 2012 by Noeleen. It was filed under Italy, Photography and was tagged with Exhibitions, Rome.